Gary M. Kazin, of the Law Offices of Gary M. Kazin, inducted as a Fellow into the College of Workers’ Compensation Lawyers on March 10, 2012. I feel very honored to be admitted into this prestigious organization. It is certainly rewarding to be recognized for all of the hard work that I have engaged in all of these years in representing the hard working men and women across Georgia. Atlanta Workers’ Compensation Attorney, Gary M. Kazin, was inducted as a Fellow into the prestigious College of Workers’ Compensation Lawyers on March 10, 2012. The College was established to honor attorneys who distinguish themselves in the practice of workers’ compensation law. Members of the College of Workers’ Compensation are nominated based on the outstanding traits developed while practicing workers’ compensation law for twenty years or longer. Fellows are selected based on input from peers, bar associations, the bench, and the public that they possess the highest possible professional qualifications and ethical standards. 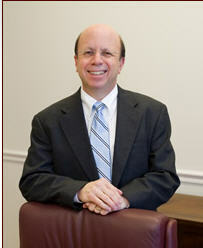 Gary Kazin has practiced law since 1978 and represented victims of workplace injuries in Georgia since 1982. He is an AV(R) Preeminent(TM) Peer Review Rated attorney by Martindale-Hubbell(R), a rating only awarded to lawyers whose peers consider them to have the highest level of professional knowledge and ethics. From their main office in downtown Decatur, Georgia, The Law Offices of Gary M. Kazin serves injured workers in Atlanta and throughout the state and metro area. The firm can help with filing claims and all matters surrounding Georgia workers’ compensation law. All workers’ compensation cases are handled on a contingency-fee basis, so no payment is collected unless the law firm obtains the sought-after benefits. The legal practice is dedicated to fighting on behalf of injured workers. To discuss a possible case and learn how the Law Offices of Gary M. Kazin can help, visit the firm online at http://www.kazinlaw.com or call the numbers listed below.